I first came across James Bay at the iTunes festival last September, as he was supporting the act I was there to see. I really enjoyed his performance, but it was a bit band-heavy and it was hard to hear his vocals, so it wasn’t until I discovered some of his acoustic tracks on YouTube that he really caught my attention. In fact, I think it was a live performance of Scars that I played on repeat for weeks, and it was the captivity of this song and this level of intense vocals that I was hoping for with the album. 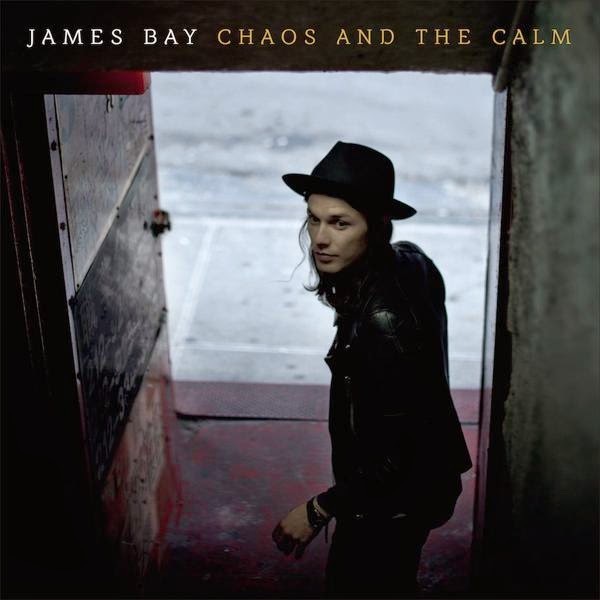 If you don’t know James Bay, you’ll probably have heard the song Hold Back the River – it’s been played non-stop on the radio for months. Although it’s a great song, it’s almost a shame that it’s been overplayed because now it’s one that I tend to skip over. Still, I’m not sure that’s something I can criticise the album over! On a general note, even though I love the album, my main problem with it is the vocal levels and overproduction of some of the tracks, such as Craving. James Bay’s best asset musically is definitely his voice, and it’s a little disappointing that it doesn’t always come through clearly enough – there’s just too much else going on. It doesn’t surprise me to find out that the album was produced in Nashville, given the layering of guitar parts and the focus on diffusing the vocal line into the other melodic parts, which is common with many hybrid country genres. Don’t get me wrong, I have no problem with country music (I may or may not need to reveal my secret love for country music at this point), but like I said before, this style of producing just doesn’t give credit to his impressive vocals. Thankfully, this fault does not run through the whole album; Let It Go has got the balance just right, and Scars isn’t too far behind. Another thing this album does well is the weight of upbeat, band-led tracks against the softer and vocally-led tracks – I guess that’s where Chaos and Calm come into it. As I’ve mentioned at the top, there are two tracks I would skip on this album: Best Smile and Collide. [Edit Sept 2015 - I now love these songs!] You know those songs on some albums that just feel like fillers? It’s like they were thrown in just to make up numbers. I don’t know, maybe they’ll grow on me, but I just find these two tracks a little superficial, formulaic and potentially cheesy. And I don’t mean cheesy lyrically, just in a melodic sense. I feel like I might have focused too heavily on the negatives here – it’s a strong first album, and it’s definitely one I’ll be committing to purchasing. It’s when you get to Need the Sun to Break that this album really comes together and excels for me. But my favourite songs on albums tend to change frequently, so maybe ask me again in a couple of weeks! I’m going to see James Bay in October, so I’m really looking forward to hearing the album live! Have you given the album a listen or seen James Bay live? What did you think?